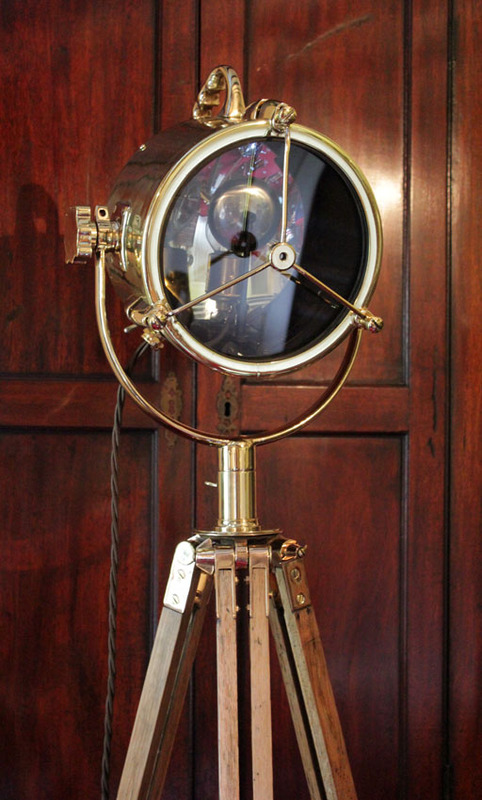 Fabulous restored 9" Brass Francis Searchlight. Polished, lacquered and rewired for domestic use. Dated 1975, taken from marine vessel. 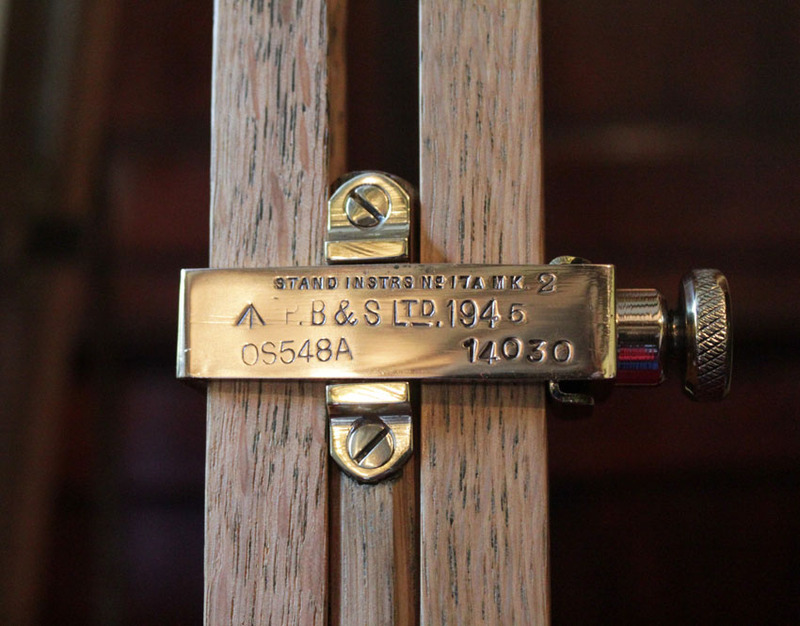 We have match it with a rare 1945 military beech and brass telescopic tripod. This too has been fully restored. Every brass part has been polished and lacquered.